Formula 1 has confirmed that talks are ongoing with a view to introducing a street race in Miami to the 2019 calendar. Liberty Media has made no secret of the desire to add a second race in the United States to the calendar, alongside the event at the Circuit of the Americas in Austin, Texas. F1 confirmed on Wednesday that a proposal has been made to add an event in downtown Miami, with the City of Miami Commission set to vote on whether it goes ahead. 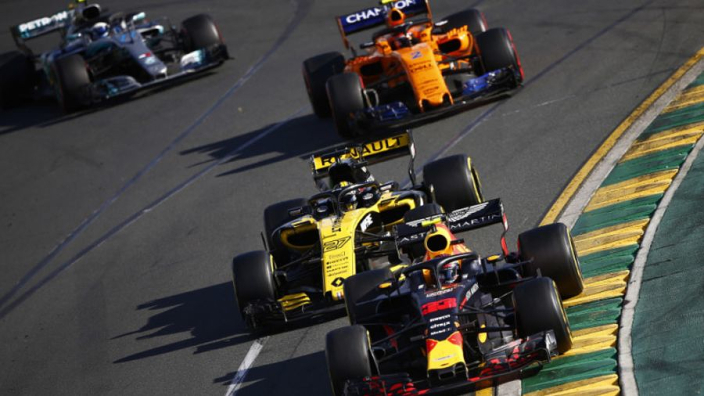 The city is set to host an F1 Live event in the build-up to this year's United States Grand Prix to give locals a taste of the sport, although many are unhappy at the proposals and have campaigned against the addition of a grand prix. Dutch network Ziggo Sports, partly owned by Liberty Media, also reported recently that the Miami race is likely to see the Baku City Circuit dumped from the F1 calendar, despite a pair of thrilling races in Azerbaijan in 2017 and 2018. F1 commercial chief Sean Bratches believes taking F1 to one of the world's most famous cities will improve its global appeal. He said in a statement: "Earlier today the City of Miami Commission took an important step by adding an item to their upcoming agenda, that if approved, will make way to bring Formula 1 to downtown Miami next season. "We appreciate the community's interest in hosting a Formula 1 race and look forward to working with local officials and stakeholders to bring this vision to life. "With over half a billion fans worldwide, Formula 1 is the greatest racing spectacle on the planet, and Miami's status as one of the world's most iconic and glamourous cities, combined with its robust tourism infrastructure, makes Miami the perfect destination for Formula 1 and its fans."